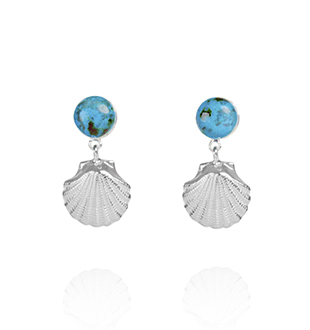 A pair of solid sterling silver earrings with chrysocolla. Also available with pearl. Keiko Uno’s Ocean Treasures series is inspired by fond childhood memories of sun and fun filled days spent fossicking for treasures on the beach. 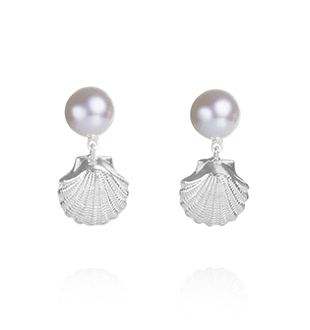 The Ocean Treasures series forms part of Keiko Uno’s luxury sterling silver Rockpool Collection.